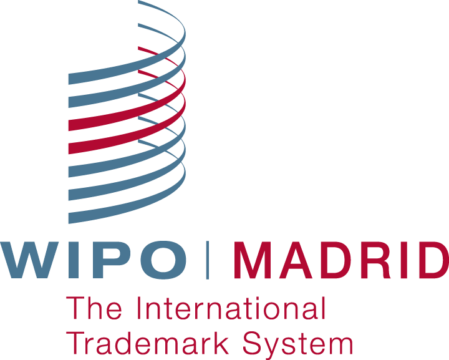 World Trademark Review, October/November 2013. It is estimated that approximately 96% of Indonesians use social media, a rate higher than any other country in the world. As well as offering an important communication tool for brands, this necessitates a tailored social media plan to protecting a brand’s intellectual property, goodwill and reputation in the country. An archipelago of over 17,000 islands that winds for some 5,200 kilometres along the equator, Indonesia has long been famed for its diversity. This is reflected not only in the country’s motto, “Unity in diversity”, but also in its legal system, which mixes colonially imposed Dutch civil law with indigenous adat law, along with more recent obligations stemming from free trade agreements and treaty memberships – not to mention the influence of Islamic law on the world’s largest Muslim-majority country. This unique legal matrix can often prove challenging – as borne out by a recent Economist survey of business leaders which identified Indonesia as the Southeast Asian nation with the highest degree of legal uncertainty. This uncertainty is serving to undermine business confidence, despite record levels of foreign investment generally. The IP space in Indonesia reflects this trend. While basic IP laws were implemented in 2000 and 2001, they have not always kept pace with Indonesia’s international obligations. This has led to gaps in protection and other legal uncertainties, which – when coupled with a questionable commitment to enforcement – have often left companies and IP practitioners alike with more questions than answers when seeking to protect their IP rights in Southeast Asia’s largest economy. As a result, many otherwise interested brand owners have previously deemed the risks of operating in Indonesia too great, despite the potential benefits. That has now begun to change. The Indonesian economy continues to charge ahead, with average annual growth rates in the 6% to 7% range, driven in large part by robust domestic consumption among a rapidly growing middle class. As companies are now either expanding their brand presence or introducing their brands for the first time to Indonesia, they must engage with consumers not only through traditional media, but also through social media. This makes the development of a sound, proactive social media protection strategy a must for any company contemplating doing business in Indonesia. The fourth most populous country on earth, with more than 242 million citizens, Indonesia has averaged between 4% and 6% growth over the last decade and today is the world’s 16th largest economy. Undermining the myth that its economy is primarily export based, Indonesia weathered the recent global financial crisis due in large part to robust domestic consumption, which “contributed 61 percent of Indonesian GDP in 2010”, according to a December 2012 report by McKinsey & Company. increased digitalisation, with internet access reaching at least 80 million additional users by 2016. Coupled with abundant foreign direct investment that continues to pour in to the country – reaching a record high of approximately $23 billion in 2012 – these factors are a big part of the reason why Indonesia’s economy is projected to become the seventh biggest in the world by 2030. While there are clearly obstacles to achieving these ambitious projections –including corruption, lack of infrastructure, a widening inequality gap and a lack of skilled workers – surveys indicate that Indonesians themselves are increasingly optimistic about their economic future. A recent Boston Consulting Group study found Indonesians to be more optimistic about their financial futures “than people in any other country, including both emerging and developed markets”. For brand owners, this positive outlook is even more encouraging when viewed alongside the McKinsey report’s findings that “brands exert an unusually powerful influence on consumer decision making in Indonesia, far more than what we have seen elsewhere in Asia, including China”. While noting that more traditional marketing channels such as television are still key, the report stated that “digital media are becoming increasingly important”. Indonesia is Facebook’s fourth largest market, with an estimated 51 million users. Jakarta is the most active Twitter city in the world, with Bandung ranked sixth, while Indonesia as a country ranks fifth in the world (behind the United States, Brazil, Japan and the United Kingdom). Indonesians send out an average of 15 tweets a second, with Jakartans accounting for 2.4% of all tweets sent worldwide. Fifty-three percent of all tweets from Indonesia are retweets, which results in a large number of Indonesian topics trending globally. These statistics are even more impressive when it is considered that internet penetration in Indonesia stands at just 22%. Overall, internet use has increased from 2 million in 2000 to 63 million in 2012, according to the Indonesia Internet Service Provider Association (APJII), which estimates that the number of users will reach 139 million by 2015. Conversely, mobile phone penetration is expected to exceed 100% in 2013. Indeed, it is not uncommon to see younger Indonesians with both a smartphone and a BlackBerry, which has historically been very popular in Indonesia thanks to its free BlackBerry-to-BlackBerry instant messaging service – it still holds approximately 50% of the mobile market. This staggering mobile phone market penetration is one of the main factors that makes social media in Indonesia unique, and holds key lessons for brand owners operating in the jurisdiction. Because Indonesians predominately engage with social media through mobile devices, the social media market is much more focused on messaging applications than is generally the case elsewhere. Seven of the top 10 most downloaded free applications in Indonesia on Google Play (formerly the Android Store) are social media-focused (LINE, WhatsApp, WeChat, KakaoTalk, Facebook, Twitter and Instagram), with the first four primarily messaging apps. Despite the continued popularity of more traditional platforms such as Facebook, Twitter and Instagram, these are clearly no longer the ‘usual suspects’ of the social media world. Many of the newer applications – such as LINE, WeChat and KakaoTalk – started out as messaging services, only to quickly expand their offerings to include online gaming, voice/video calling and shopping in a bid to take advantage of Indonesians’ seemingly insatiable appetite for all things social media. If many of those names are unfamiliar, there follows a quick primer of these key players in the Indonesian social media scene. A social network available only through an app on iPhone or Android devices, Path just recently added its 10 millionth user. Think of it as a more intimate Facebook, as it limits users to 150 friends. While exact user statistics for Indonesia are not readily available, it is undoubtedly extremely popular in the country. This is currently the most popular messaging app in Indonesia, with over 120 million users worldwide. Developed in Japan, LINE has aggressively marketed itself in Indonesia, signing up Indonesian pop singer Agnes Monica (who has the largest Twitter following in the country) as a spokesperson. Owned by China-based Tencent Holdings Limited, the third largest internet company in the world (behind only Google and Amazon), WeChat has formed a joint venture with Indonesian media conglomerate MNC Media focusing on Indonesia’s online market. WeChat is currently being downloaded by 90,000 new Indonesian users a day. Football superstar Lionel Messi has just been announced as a worldwide product ambassador for WeChat. Seoul-based KakaoTalk is another messaging app that has aggressively marketed itself in Indonesia after a slow start. It signed up Indonesian singer Sherina (who has the second largest Twitter following in the country) as a spokesperson, and saw its users in Indonesia increase by 288% on a month-to-month basis earlier this year. Given the relative infancy of the social media phenomenon, it is still an ever-evolving concept, with different uses among different users. In Indonesia, the dividing line between social media and e-commerce has historically been thin and may be getting even more so. Certainly, there are dedicated e-commerce sites such as Kaskus, Tokobagus and Tokopedia, as well as eBay’s soon-to-be-launched Indonesian marketplace on plasa.com. However, Facebook has consistently ranked as one of the top e-commerce sites in Indonesia over the years, as large number of users and companies seek to generate business through their ‘friends.’ Similarly, Instagram remains a popular platform for e-commerce activities. And while only limited data is available, the indications are that e-commerce transactions are steadily increasing and that LINE, WeChat and KakaoTalk may be seeking to expand into the e-commerce field. Given the crucial role that these new platforms play in reaching Indonesian consumers, a proactive social media plan is vital to protecting a brand’s intellectual property, goodwill and reputation in the country. “Engaging consumers through social media helps forge a personal connection, which is especially important in Indonesia where consumers are highly brand conscious,” says Ooley. “This is not only true from a marketing standpoint, but also from the perspective of managing a brand’s reputation online.” To this end, businesses should consider a number of strategies when contemplating social media activities in Indonesia. The first and most important step is to proactively register or renew all relevant trademarks in Indonesia prior to conducting any business or rolling out new marketing campaigns. Indonesia is a first-to-file jurisdiction, meaning that all rights stem from registration. As Indonesia is a civil law country, no common law rights accrue through use of the mark. Indonesia has a sordid history of trademark squatting that continues to this day, and instances where a local distributor or agent registers a foreign business partner’s marks are unfortunately quite common. In these situations, recapturing the mark – through either purchase or litigation – will be expensive and uncertain, all the while denying the brand owner the ability to enforce its rights against third parties in the meantime. The Law on Electronic Information and Transactions (No. 11/2008) recognises that the “usage of Information Technology has an important role in national trade and economic growth in order to achieve public prosperity”. However, despite this assertion, only one article in the act even mentions the concept of intellectual property. Article 25 provides that IP rights resulting from “Electronic Information and/or Electronic Records” are to be governed by existing laws and regulations – in other words, the Trademark Law (No. 15/2001). As such, companies should look to the Trademark Law as the source of their enforceable rights in Indonesia for social media matters. In this regard, the Trademark Law contains a curious anomaly not typically found in other jurisdictions, which requires that a mark be registered exactly as it is used in the market. Minor differences (eg, font, colour) are deemed to change the overall representation of the mark and will lead to uncertainties in enforcing rights. If changes are made to a mark, it is recommended that the new logo be registered as well. Currently, registration at the Indonesian Trademark Office takes approximately 18 to 24 months (assuming smooth registration), so foresight and strategic planning are key. The second step is to proactively register potential social media ‘handles,’ usernames and URLs (eg, @Brand_Indonesia, @Brand_Id, or www.socialmedia.com/Brand_Indonesia), prior to launching any marketing or advertising campaigns. If the desired handle or URL has already been registered, attempt to contact the owner directly to arrange for the transfer of control over the account. If the owner is unresponsive or unwilling to relinquish control, follow the complaint procedures of the relevant site in an attempt to regain control over the account, requesting either the transfer or deletion of the offending account. The third step, depending on the level of investment in the Indonesian market, is to consider hiring a watch service to monitor your brand online, including on social media. For example, Edelman Indonesia offers a service that monitors social media content in both English and Indonesian for clients looking not only to monitor their trademarks, but to also better understand how their brand is perceived by Indonesian consumers on a day-to-day basis. Finally, litigation should be considered a viable option should the above measures fail to resolve an issue satisfactorily. Since 2003, the commercial courts have had jurisdiction to hear IP disputes in Indonesia and have developed particular experience in trademark cases. As the Law on Electronic Information and Transactions bases a party’s rights in such cases on the Trademark Law, a party will be in a position to bring an action for trademark infringement only if its marks have already been registered in Indonesia. The Trademark Law has no separate provisions on trademark dilution or tarnishment, as may be found in other jurisdictions. Social media is an increasingly important medium through which companies can communicate directly with consumers, especially in Indonesia. As Indonesian consumers are fiercely brand conscious and brand loyal, the opportunities for businesses to engage them through social media are tremendous. But companies need to be proactive in registering and monitoring their brands when seeking out these opportunities, as failure to do so could have negative consequences that no company would want to tweet about. Andrew F. Diamond is a foreign legal consultant at boutique IP firm Januar Jahja & Partners (JJP). Associate Prudence Jahja assisted in the preparation of this article. © Andrew F. Diamond 2013.